Through a variety of focused, seminar-style classes, Asian Studies minors are exposed to the ways in which Asian nations have historically been and continue to be deeply connected to larger global processes of economic and cultural exchange. In this regard, the minor program in Asian Studies aims to produce graduates who are thoughtful, well rounded, and well-prepared to function in an increasingly globalized world. As Asian countries come to occupy an increasingly dominant position on the world stage and in the global economy, the ability to understand and navigate this region has never been more important. This interdisciplinary minor allows you to develop focused expertise on Asia while simultaneously drawing on multiple methodologies and communicating with diverse audiences. For these reasons, a minor in Asian Studies is a highly marketable addition to a wide variety of majors. It signals to future employers that you are worldly, forward-thinking, and can work effectively and respectfully across cultural boundaries. The minor is especially recommended for students planning a career in international affairs, public policy, business, law, communications, or advanced study of the humanities. 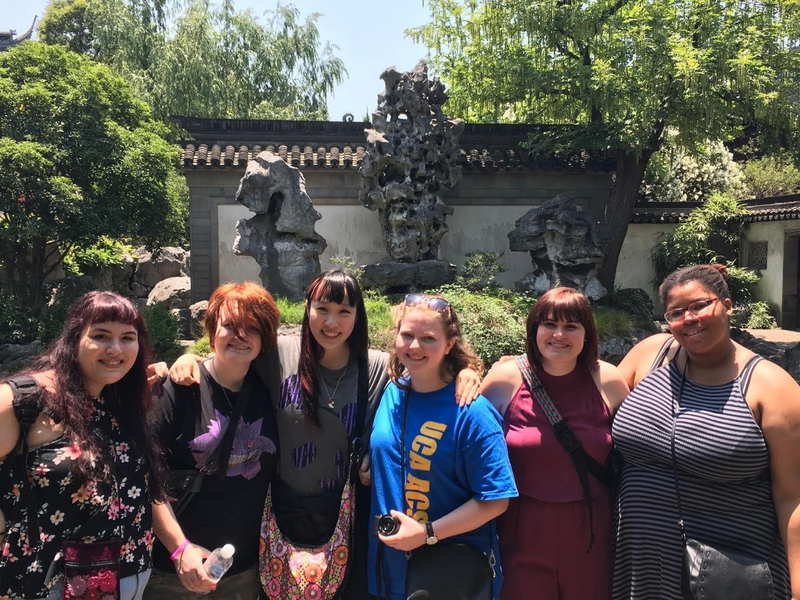 The Asian Studies Program brings together faculty across many disciplines and includes experts in neo-Confucian philosophy, Chinese intellectual and gender history, globalization and development, Asian family structure, Japanese film, tai chi, Asian-American literature, and more. UCA is also home to Arkansas’ only Confucius Institute, whose outstanding team of instructors offer UCA students the best suite of Chinese language classes in the state. Our faculty are committed to creating a focused, supportive, and hands-on learning environment through small class sizes and study abroad experiences. UCA’s wide array of distinguished faculty with active research agendas related to Asia has earned it the designation of a Regional Center for Asian Studies, and students in our classes will have an opportunity to work alongside faculty members on collaborative research projects. 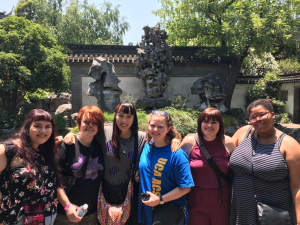 In addition to our outstanding coursework, Asian Studies students may join one of several organizations on campus devoted to the celebration and understanding of Asia. These organizations include the Japanese Club, the Anime and Manga Club, The Chinese Students and Scholars Club, the World Languages Club, and the Muslim Student Association. With the College of Liberal Arts emphasis on EDGE, students have access to a truly global curriculum and have the opportunity to study abroad, conduct undergraduate research, engage in service learning, and participate in internships. In the past students have presented their research at national conferences, have had rewarding adventures studying abroad, and have gained practical experience interning at sites such as the Clinton Presidential Library or the Washington Center in Washington, D.C.
Students in Shanghai, Summer 2017.